WASHINGTON —Scaled Composites LLC is appealing $28,870 in fines the California Departmentof Industrial Relations imposed on the Mojave, Calif.-based spaceship builderin connection with a July test-stand explosion that killed three workers. SeventeenScaled Composite employees and contractors were present when the explosionoccurred three seconds into a cold-flow test of a hybrid rocket motor thecompany is developing for VirginGalactic?s SpaceShipTwo suborbital passenger craft. 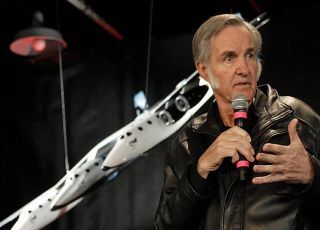 A reportreleased Thursday by California workplace safety officials said all seven ofthe Scaled Composites employees injured or killed in the July 26 incidentwere viewing the day?s nitrous oxide cold-flow test from behind a chain-linkfence. Two were killed instantly by the blast. One died on his way to thehospital. The sixworkers who were running the test were not injured in the blast. They weresheltered in a mobile command center protected by an earthen berm. California safety officials faulted Scaled forfailingto adequately train workers about the potential hazards of nitrous oxide.